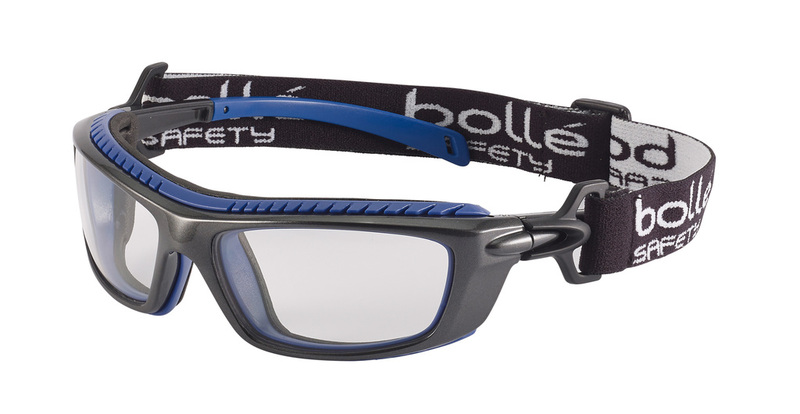 Bollé Safety, the designer and manufacture of protective eyewear, has developed a low profile, high impact protection safety goggle – Baxter. The Baxter has been tested and approved to meet the highest levels of impact protection EN 166 1BT 345 KN and also provides the wearer with protection against chemicals, dust and gas. Available in Platinum double sided anti-scratch and anti-fog polycarbonate clear, smoke and CSP versions, the Baxter is described as having a unique removable/adjustable strap and waterproof foam seal for extra comfort and protection. It is also available as a prescription option. The C.S.P. lens stands for Comfort Sensory Perception. It absorbs over 99.99% of UVA and UVB and over 52% of blue light which is the most difficult wavelength for the eye to filter making it even more comfortable to wear while also providing even greater levels of protection. All products provide the wearer with protection, style, comfort and an impressive field of view due to their lightweight design, advanced material technology and Bollé Safety’s Platinum double sided anti-scratch and anti-fog optical class 1 lens quality. They are also said to offer excellent value for money.